Harvey joined the Montreal Alouttes out of Tyler College in Texas for the 1973 season and had an outstanding rookie season. Harvey rushed for 1024 yars on 137 carries for an excellent 7.5 yard average. Harvery also caught 32 passes for another 377 yards and added 147 yards on kickoff returns. 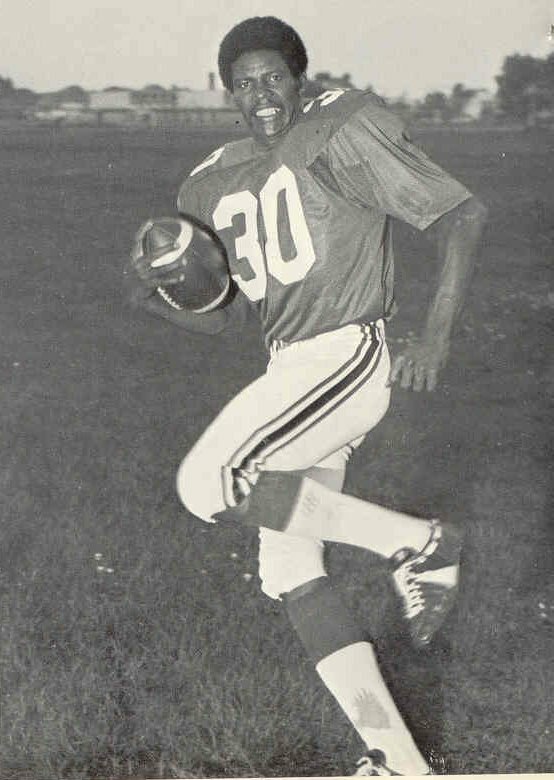 In 1973, Harvey was second in the East in rushing behind Andy Hopkins of Hamilton, was named to the All-Canadian team and was therunner-up as the Oustanding Player in the league. After the 1973 season, Harvey jumped to the WFL and playd two seasons for the Memphis Southmen. Toronto signed Harvey for the 1976 season, despite interest from the LA Rams of the NFL. The Argos used Harvey more as a receiver at the wing back position as he only had 16 carries for 68 yards while catching 26 passes for 459 yards in just 10 games. Harvey was suspended by the Argos prior to the start of the 1977 season and then released when he was later returning from a personal leave. Hamilton picked up Harvey, but he played only one game for them in 1977.